Thank you for visiting our website! Here are a few other sites that we recommend. 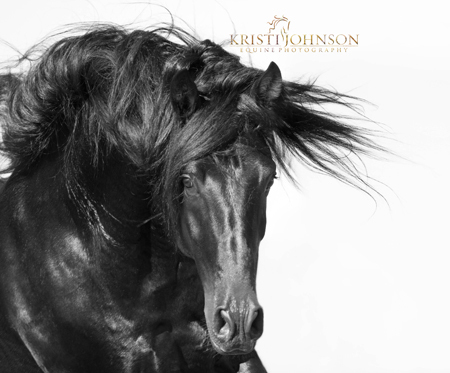 Many of the photos on this site are due to the generosity of equine photographer Kristi D. Johnson who allows me to use these gorgeous photos she takes of my horses. Photographs by Kristi are available for sale at: www.kristijohnsonphotography.com. Kristi is so much fun to work with and I encourage anyone wanting a photo shoot of their animals to contact her. Also special thanks to photographer Bob Langrish who has used his incredible images of some of my horses for his calendars, posters and we've made the covers of three of his books! To see Bob's work, see www.boblangrish.com. 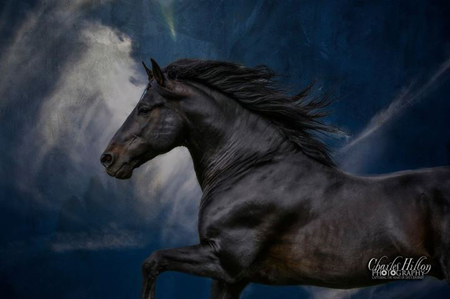 The interesting photo of the grey horse at the left of his home screen is Hereje. Our Web server does not collect any information regarding the domain or e-mail address, however, the visitor's IP address is collected by our webhost only for traffic analyst purposes. This information is not accessible to anyone but our site owner and webhosting company. We do not store your email address or other contact information and will not contact you without your request. 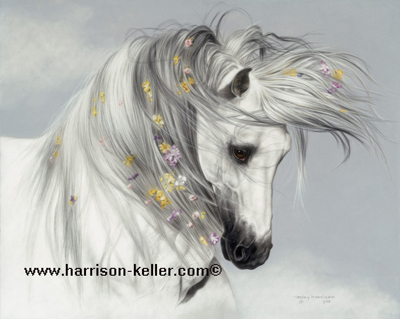 Any unauthorized emailings claiming to be from our domain name, herradura-andalusians.com, (known as "spoofing") can be turned into us at address on the bottom of this page.